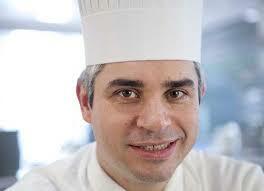 World’s best chef who committed suicide was ‘the victim of a £1million wine scam. Benoit Violier, 44, whose Restaurant de l’Hotel de Ville was awarded three Michelin stars, committed suicide last Sunday, leaving no note. But it is now claimed he was in significant financial trouble, despite the apparent success of his restaurant in Crissier, near Lausanne in Switzerland. According to reports, the renowned chef fell victim to a scheme where rare wines priced from £14,000 up to £27,500 were sold to restaurants – but never delivered. Swiss financial magazine Bilan claims he was the victim of a vast scam allegedly masterminded by Private Finance Partners, a Swiss wine company based in Sion. In 2015, the company trading in rare wines sold expensive bottles that fetched thousands of pounds to a number of restaurants, including Violier’s, but allegedly failed to deliver them. The same bottles, priced between £14,000 and £27,500, were allegedly sold three or four times to various unsuspecting buyers. According to Bilan, Violier’s restaurant suffered losses due to the scam of between £554,700 and £1.37 million. Private Finance Partners was declared bankrupt on November 30 last year. The magazine claimed that one of the brokers, who remained anonymous in the article, was taken into custody in October. It said: ‘The last months of the famous chef were quite troubled. Violier was laid to rest on Saturday in France. A service was also held on Friday in Lausanne, Switzerland, where 1500 people attended. He was buried in Montils, a town in the region of Charente-Maritime in France, where he was born and where his mother and one of his six siblings still live. Violier’s death came just weeks after his Restaurant de l’Hotel de Ville was crowned the best of 1,000 top eateries across 48 countries ranked by France’s La Liste. 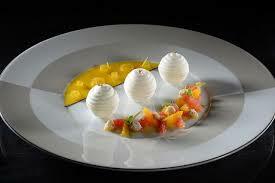 The ranking was seen as the French foreign ministry’s answer to the Britain-based World’s 50 Best Restaurants. 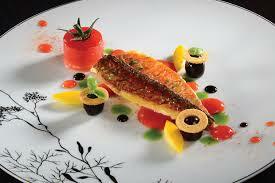 Some saw it as launched out of pique after not a single French eatery reached the top ten of the UK-based table. Known as a keen hunter, the Gallic chef was famed for his game dishes, including ibex or chamois. Opened nearly 40 years ago, the restaurant offers menus starting at £134. Louis Villeneuve, his maître d’hôtel, who has been in his post for four decades, was one of the last people to see Violier. It was 11pm on Saturday night when the restaurant was closing for the usual two-day period of Sunday and Monday. On Sunday, Violier’s wife and son Romain, 12, left the apartment at noon for lunch with friends. 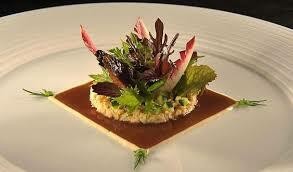 Violier was due to fly to Paris later in the day for a Michelin Guide awards ceremony. When his friend arrived to collect him there was no answer at the door or on his phone. He called Brigitte who immediately made her way home. The pair then made the grim discovery. The married father-of-one was found dead with a hunting rifle by his side at his home on Sunday. He leaves his wife Brigitte and their 12-year-old son Romain.